During the last winter season, some fatal sport injuries with severe traumatic brain injury (TBI) prompted major discussions about protective helmet use. Although ski helmets reportedly lead to a 60% decrease of risk to incur TBI, little is known about the distribution of helmet users and which factors are crucial for the decision to wear a helmet. Especially, it is unknown whether knowledge or experience concerning TBI in winter sports influences the use of helmets, as well as the attitude and opinion of people. Since treatment of TBI is a major field in neurosurgery, 55 neurosurgical departments (NS) in Germany, Switzerland and Austria were addressed and asked to answer anonymous questionnaires. A “non-trauma-educated” control cohort (NTP) was interviewed in ski resorts in Austria as well as sports equipment stores in Germany. Questionnaires were returned by 465 NS and 546 NTP. Half of NS and NTP wore helmets in winter sports. Although some interviewees showed cognitive dissonant behaviour, experience in TBI after ski or snowboard accidents significantly affected the decision to wear helmets. After the fatal ski accidents, and increased media coverage 15.4% NS and 13.2% NTP bought their helmet. Furthermore, incidence of helmet use in children was correlated with the actual use and disposition of their parents to make the use of helmet compulsory. This study indicates that brain-trauma education affects ones attitude and opinion concerning protective helmet use in winter sports. However, without neglecting educational measures, emotional arguments should be added in the promotion of helmets to make them a popular integral part of winter sport outfits. 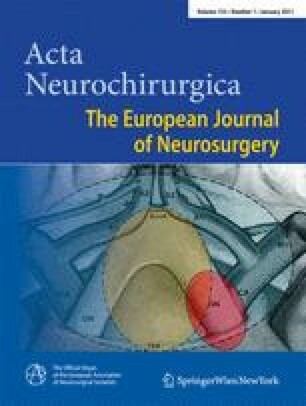 The authors thank the families of the first and second authors for their enthusiasm and help in distributing questionnaires to the “non-neurosurgical” NTP group on ski slopes and in sports equipment shops. Furthermore, the authors want to thank everybody who voluntarily took the time to fill out the questionnaires. This paper is worthwhile in so far as it shows that even medical doctors show irrational behaviour. Despite the fact that wearing of a helmet during winter sport activities has a clearly protective effect, only a certain percentage of medical personnel is actually wearing one due to emotional side effects. Only, more or less, personal contact with sports-related head injuries specifically in the personal environment has an "enforcing" effect to wear a helmet. Thus, it is useful and necessary to add these aspects into the promotion of helmet use. In this article by Jung and colleagues, the analysis of a questionnaire survey of neurosurgeons and a control cohort about their attitude and opinion to wear helmets in winter sport activities is described. As one would expect, the attitude to wear a helmet rose especially after several severe accidents with traumatic brain injury during winter seasons 2008 and 2009 with consecutive media coverage and public discussion. However, the authors also demonstrated that knowledge and experience alone cannot always prevent carelessness—a fact that should be kept in mind not only referring to winter sport activities.